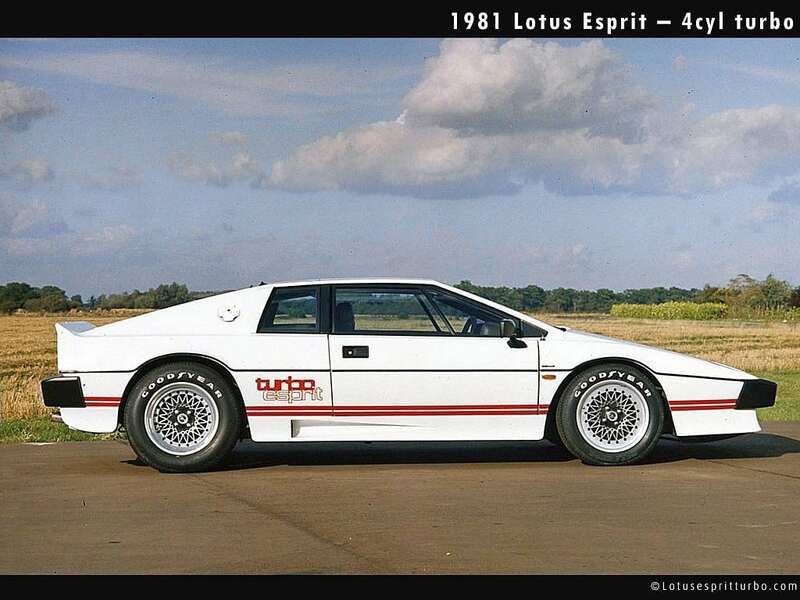 Lotus Esprit – Doesn’t it blow your mind…this is only four cylinders! Typical evolution in sports car development is a race to tout the best horsepower and 0-60 numbers. By 1976 Porsche was already pushing 155mph and 245hp in their first gen 930 turbo. Ferrari wasn’t necessarily producing the big HP numbers in the 308 comparatively speaking, but they had the V8 exhaust note to make up for it. Many exotics of the late 70’s and 80’s were on the fast track to big performance numbers. Lotus, however, was a little slow at getting that memo. In 1976, Lotus unveiled the Europa replacement…the gen 1 Esprit. Equipped with a 2.0L longitudinally mounted mid-engine naturally aspirated 4-cyl producing 160hp. The inline-4 would go through several variants over the next 20 years, would bump displacement 0.2 to 2.2L and eventually forced induction along the way…but it was still an inline 4-cylinder. 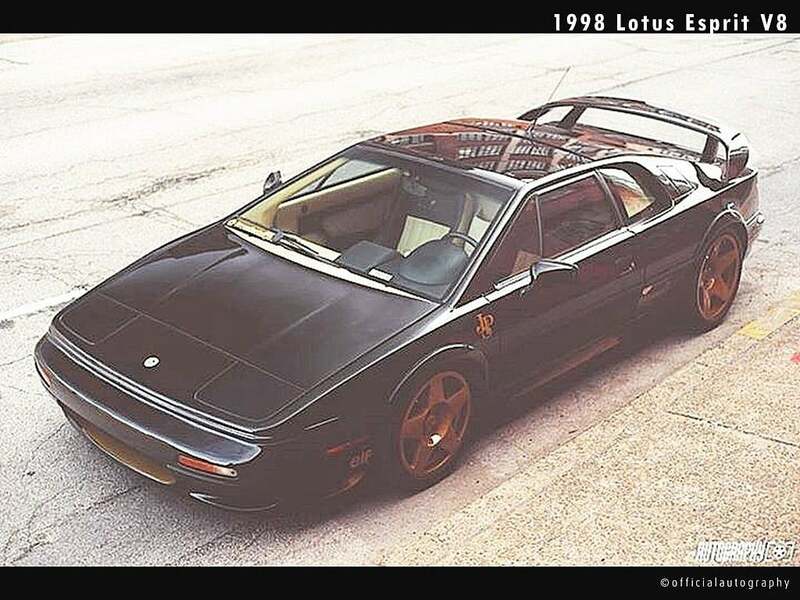 Lotus had always been able to keep up with the competition of current, but mainly through weight shaving methods and setting the benchmarks for handling. 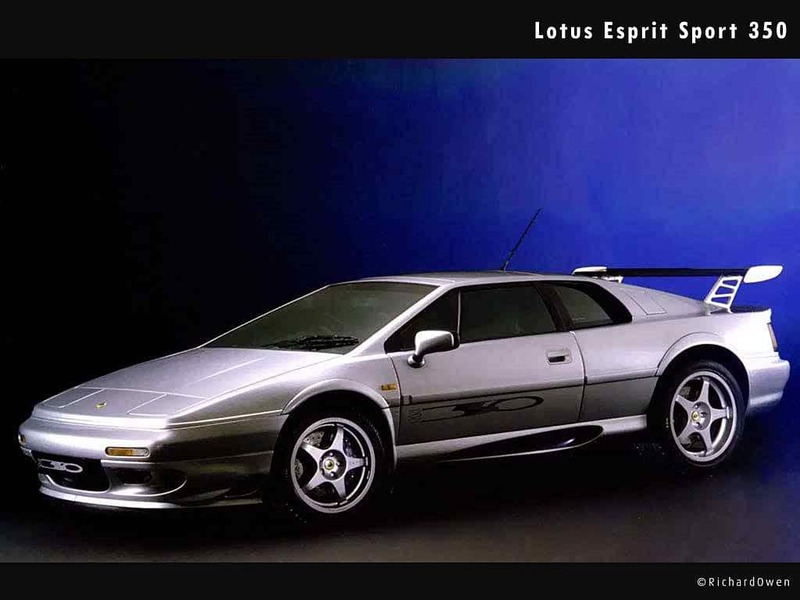 But then it happened…right alongside the release of the Nintendo 64, just as Prince Charles and Diana were parting ways, and Jerry Maguire had us at Hello…Lotus Cars finally shoehorns a 3.5L twin Garrett T25 turbo V8 into the fifth and final generation Esprit. Code named ‘type 918’, the all-aluminum V8 was designed to be OBD-II-compliant to meet the growing U.S. emissions requirements (aka Defender Killers). Nearly 20 years after the first S1 was developed, the V8 was welcomed with open arms in the Lotus communities. We typically stay away from quoting performance specs, a college physics professor once told me “you don’t need to memorize things that you can reference in a book”. We mostly carry that philosophy here…no need to repeat stats you can easily look up. But we have to tell you, 0-60 in 4.4 seconds and top speeds of 175mph finally put them into supercar territory. Over the next 8 years, the Esprit would see very few changes or styling cues. 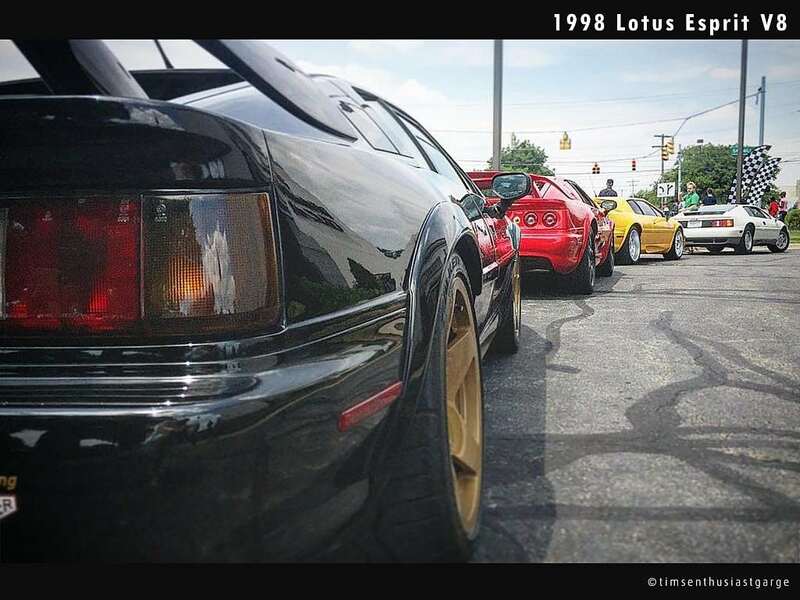 We’re not yet jumping into the debate of the best generation, save that for two of the more popular Lotus forums (LotusTalk and TheLotusForums). We will say, though, that the real Esprit unicorn to chase is the 350…only 50 were made and represents the penultimate of the Esprit moniker. So how is it as a daily? A very active Lotus forum member who daily’s his GT3 once commented of said Lotus … “They were born at Hethel to be driven”. Many other Esprit owners report daily’ing theirs and loving it. Sure, repair costs will be higher than your Civic but for that 20 mile commute it’s worth it. Things that pull the daily’able grade down are, it’s a low slung 2wd 2-seater…excellent variables for a sports car but purely daily driver speaking it will have some obvious limitations in a weekly garage rotation. Similarly, seasonality constraints are in place depending on where you live. Driver accouterments are minimal but sufficient, and there’s no worries of keeping up with commuting interstate traffic. Hopefully you live in an area where mountain roads stand between you and the destination parking garage. What to look for? As with most interference engines, frequent (25k miles/5year) timing belt changes are a necessity. Expect to spend about $5000 on that, and another $5000 on a clutch job. So be sure to inspect and ask for maintenance records. Pre-2000 builds have known problems with water leaking between the liners and the block. Lotus solved the problem on later vehicles with a change of liner sealant. Repair requires an engine out service so check to see if the liners were resealed. As with many of these “low” production models (over 10k were made in total, and about 25% of that was the gen 5 cars) some parts can be expensive to source and are no longer being made. Pop-culture fell in love with the submarine Esprit in the Spy Who Loved Me, then again when Julia Roberts couldn’t believe it’s only a 4-cyl in Pretty Woman…we’re just happy that Lotus decided to keep it around for 30 years…that significantly increases our odds of actually parking one in the garage one day. **That amazingly cool cover photo is courtesy of Nate Thomas, Automotive Photographer via Tim’s Garage. 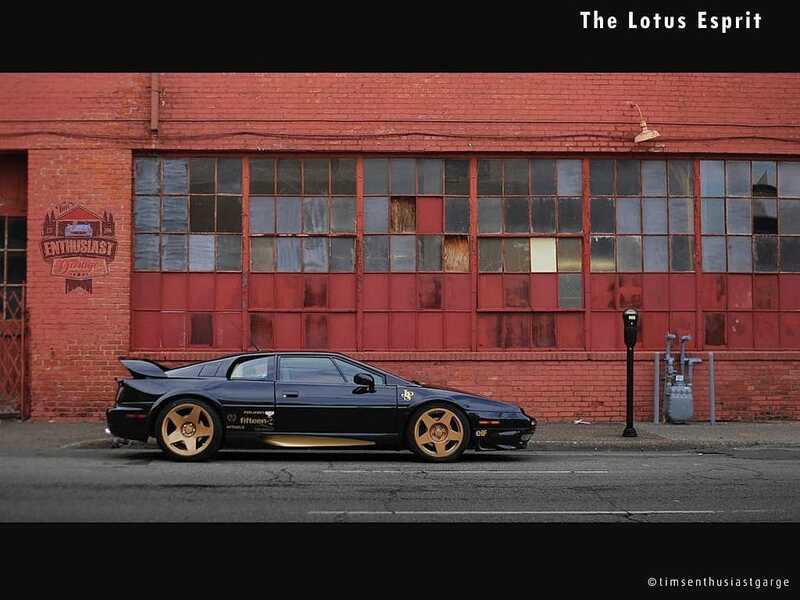 See Tim’s Enthusiast Garage review of the Lotus V8 below. 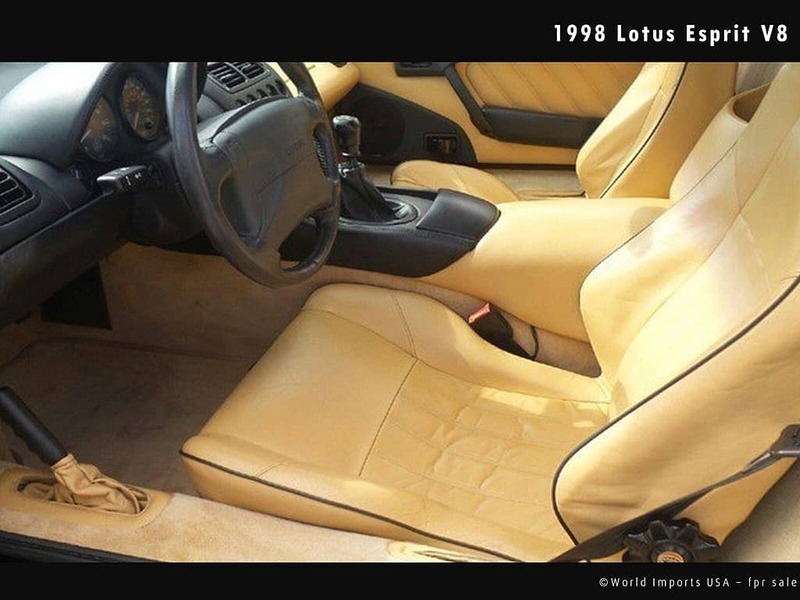 This entry was posted in British Classics and tagged Elan, Elise, Esprit, Europa, Exige, Lotus, V8. What’s the best selling car in America? That’s right, a truck.